Full Moon Bites: Giveaway & Excerpt of Sins of the Mind by L.J. Garland & Debbie Gould! Giveaway & Excerpt of Sins of the Mind by L.J. Garland & Debbie Gould! 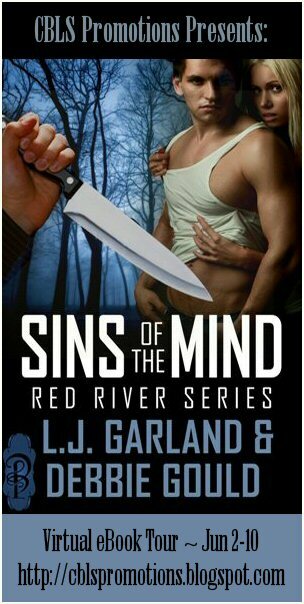 Enter via the Rafflecopter form below to win a eBook copy of Sins of the Mind (Red River, Book 1) by L.J. Garland & Debbie Gould! Sounds like a very exciting and suspenseful book - just like I like. I have to agree this sounds like a great read I'll be adding it to my wish list.